Located in the heart of the Portuguese Quarter, a UNESCO World Heritage Site, This house is a bewitching blend of modern comfort and old-world charm, only 100 meters from the souks. 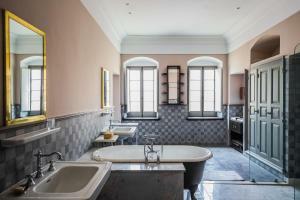 In this architectural surroundings that are unique in Morocco, Dar EL Jadida offers a total comfort, every room has a private bathroom and the decoration, built by Moroccan craftsmen, is inspired by the 30's and 40's. Benefiting from panoramic views of the sea and the Old City from the roof terrace, you will appreciate the sight, the light and taste the unique atmosphere of this house? In the port city of El Jadida and 5 minutes' drive from the beach, this hotel proposes massages, free parking and spacious rooms with free Wi-Fi. The sun terrace offers deck chairs and views of the garden. Each en suite room at Dar Al Manar includes a garden view from its seating area. 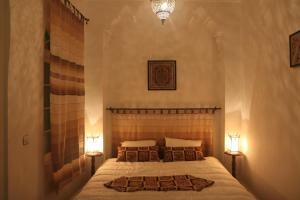 The rooms are simply designed with touches of traditional Moroccan decor and furniture. A continental breakfast is served each morning in the dining room or on the terrace. For other meals you can request Moroccan dishes and you can relax in the Moroccan lounge with satellite TV. This hotel is 10 km from the Pullman Mazagan Royal Golf Course and 18 km from Azemmour. El Jadida Train Station is 6 minutes’ drive. Casablanca and the Mohammed V International Airport are 110 km away. يقع هذا الفندق في مدينة الجديدة الساحلية وعلى بعد 5 دقائق بالسيارة من الشاطئ ، وهو يقدم علاجات المساج وموقف مجاني للسيارات وغرف واسعة تشمل خدمة واي فاي مجانية . كما يوفر التراس المُشمس كراسي للاستلقاء وإطلاله على الحديقة .تتميز كل غرفة تضم حمام داخلي في فندق Dar Al Manar بإطلاله على الحديقة من منطقة الجلوس الخاصة بها . كما تم تصميم الغرف بأسلوب بسيط مع لمسات من الأثاث والديكور المغربي التقليدي .يتم تقديم وجبة إفطار كونتننتال كل صباح في غرفة الطعام أو على التراس . ويمكنكم طلب الأطباق المغربية للوجبات الأخرى كما يمكنكم الاسترخاء في الصالة المغربية التي تشمل تلفزيون مع قنوات فضائية .يبعد هذا الفندق مسافة 10 كم عن ملعب غولف Pullman Mazagan Royal و 18 كم عن مدينة أزمور . وتقع محطة قطار الجديدة على بعد 6 دقائق بالسيارة . كما تبعد مدينة الدار البيضاء ومطار محمد الخامس الدولي مسافة 110 كم عن الفندق . Located just a 2-minute walk from El Jadida Port, Hotel L’Iglesia is set in a former 19th-Century Spanish Church and offers a rooftop terrace with ocean views, a massage room and a lounge. El Jadida Beach is a 10-minute walk away. Decorated in a 1930s or 1950s style, all rooms feature a desk and free Wi-Fi access, while some also have a seating area and wardrobe. They are complete with an en suite bathroom. Breakfast is served each morning on the terrace at Hotel L'Iglesia. Guests can also enjoy local cuisine in the restaurant and relax with a drink in the bar. Additional features include a TV lounge, patio and sun loungers on the terrace. Mazagan Beach Resort with its golf club, casino and restaurants is 14 km from the hotel and the train station is a 10-minute drive away. يقع فندق L’Iglesia على بُعد دقيقتيّن فقط سيرًا على الأقدام من ميناء الجديدة، كما يبعُد مسافة 10 دقائق سيرًا على الأقدام عن شاطئ الجديدة. ويقع في مبنى كنيسة إسبانية سابقًا يعود إلى القرن 19، ويضم تراسًا على السطح يطل على المحيط، وغرفة مساج، وصالة.تتميز جميع الغرف بديكور على طراز الثلاثينات أو الخمسينات من القرن العشرين، وتشتمل جميع الغرف على مكتب وخدمة الواي فاي المجانية، فيما يضم البعض منطقة جلوس وخزانة ملابس. كما أنها تحتوي على حمام داخلي.يتم تقديم وجبة الإفطار كل صباح على التراس في فندق L’Iglesia. كما يُمكن للضيوف الاستمتاع بالمأكولات المحلية في المطعم أو الاسترخاء مع تناول مشروب في البار.تتضمن المزايا الإضافية صالة تلفزيون وفناء وكراسي استلقاء للتشمس على التراس. ويبعُد منتجع Mazagan Beach بما يضم من نادي غولف وكازينو ومطاعم مسافة 14 كم عن الفندق، وتبعُد محطة القطار مسافة 10 دقائق بالسيارة. 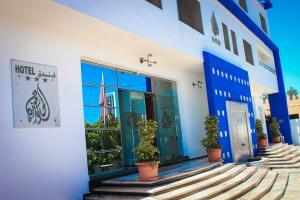 This hotel is located 3.1 miles from El Jadida Train Station and 550 yards from El Jadida Beach. 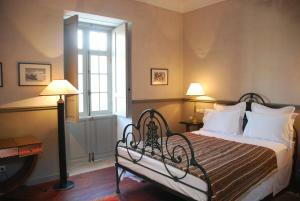 It offers en suite rooms and free Wi-Fi access in the entire building. The air-conditioned rooms at Ibis Budget El Jadida include a flat-screen TV with satellite channels and a private bathroom with shower and free toiletries. 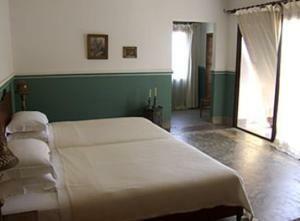 Rooms for guests with reduced mobility are available. A daily breakfast is served as a buffet at Ibis Budget El Jadida. Restaurants and cafés can be found within 550 yards. This hotel, which offers a 24-hour front desk and a snack bar, is 1.9 miles from Cité Portugaise and 8.7 miles from Azemour. يقع هذا الفندق على بعد 5 كم من محطة قطار الجديدة وعلى بعد 500 متر من شاطئ مدينة الجديدة. ويقدم غرفاً مع حمامات داخلية وخدمة الواي فاي في المبنى بأكمله.تشمل الغرف المكيفة في Ibis Budget El Jadida شاشات تلفزيون مسطحة مع القنوات الفضائية وحمام خاص مع دش ولوازم استحمام مجانية. وتتوفر غرف للنزلاء من ذوي الاحتياجات الخاصة.يتم تقديم وجبة إفطار يومياً وبوفيه في Ibis Budget El Jadida. ويمكن العثور على مطاعم ومقاهي في نطاق 500 متر.يوفر هذا الفندق مكتب استقبال مفتوح على مدار 24 ساعة ومطعم للوجبات الخفيفة، ويقع على بعد 3 كم من Portugaise حي و 14 كم من Azzemour. This luxury hotel resort offers an outdoor swimming pool, casino and golf course. 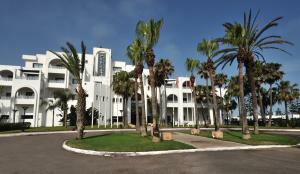 Mazagan Beach Resort is located a 20-minute drive from the town of El Jadida and is situated beside a 4.3 miles beach. Each of the spacious guest rooms at the Mazagan Beach Resort are air-conditioned and have a contemporary design with Moroccan features. Some rooms have a view of the Atlantic Ocean. 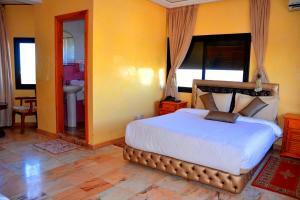 All rooms feature a private bathroom and are equipped with a minibar and a flat-screen TV with satellite channels. A buffet breakfast is served every morning at the Olive restaurant. The 8 restaurants and bars at the Beach Resort provide plenty of choice for dining including traditional Moroccan food, as well as international cuisine. 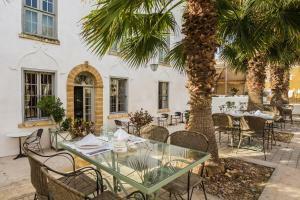 Guests are invited to enjoy meals on the hotel’s garden terrace. There is also a kids club, a night club and a spa on site. Free private parking and Wi-Fi internet access are available. 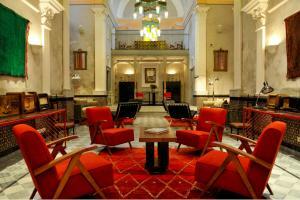 The hotel also offers a 24-hour concierge service. 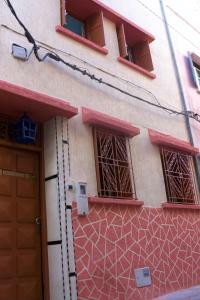 Casablanca is a 1 hour drive from the hotel and the 15th century city of Azemmour is 4 miles away. Under prior reservation, a free shuttle service is also offered between Mazagan and Mohamed V Airport. يوفر منتجع الفندق الفاخر هذا مسبح خارجي وكازينو وملعب للغولف، ويقع منتج مازاغان بيتش بجوار شاطئ يبلغ طوله 7 كم، ويبعد مدة 20 دقيقة بالسيارة عن مدينة الجديدة.تتميز جميع الغرف الواسعة المكيفة في منتجع مازاغان بيتش بتصميم فني عصري مع لمسات مغربية، وتوفر بعض الغرف إطلالة على المحيط الأطلنطي، وتضم جميع الغرف حمام خاص وميني بار وتلفزيون بشاشة مسطحة مع قنوات فضائية.يتوفر بوفيه إفطار كل صباح في مطعم Olive، وتوفر المطاعم والبارات التي يبلغ مجموعها 8 في منتجع بيتش العديد من خيارات الطعام تشمل الطعام المغربي التقليدي بالإضافة إلى المأكولات العالمية، ويمكن للضيوف الاستمتاع بتناول الطعام على تراس حديقة الفندق.يتوفر نادي للأطفال وملهى ليلي وسبا في الموقع، كما تتوفر مواقف مجانية للسيارات وخدمة الواي فاي، ويوفر الفندق خدمة الكونسيرج على مدار الساعة.تقع مدينة الدار البيضاء على بعد مسافة ساعة واحدة بالسيارة من الفندق وتبعد مدينة أزمور التي تعود للقرن الـ 15 مسافة 6.4 كم، وتتوفر خدمة نقل مكوكية مجانية بين مازاغان ومطار محمد الخامس عند الحجز المسبق. 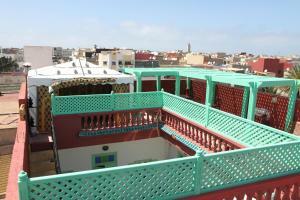 Riad Harmonie is located in the heart of the medina in Jadida yet only 800 metres from the Atlantic coast. 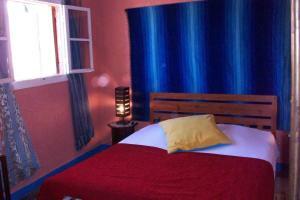 It offers massages and B&B accommodation with free Wi-Fi. Featuring Moroccan furniture and beldi tiling, the rooms at this riad surround an arched courtyard with a central fountain. 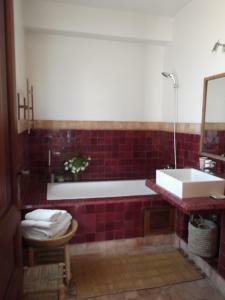 Each room has a private bathroom equipped with a shower and amenities. 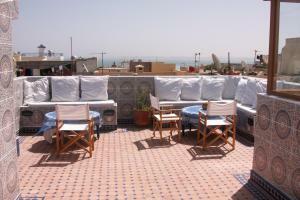 A shaded rooftop terrace with outdoor furniture offers views of the medina. Guests can enjoy free mint tea in the indoor salon alcove lined with Moroccan sofas. 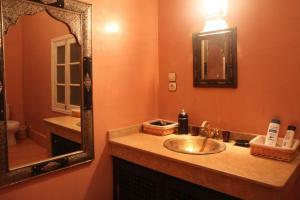 Riad Harmonie offers guests a set menu featuring local dishes. 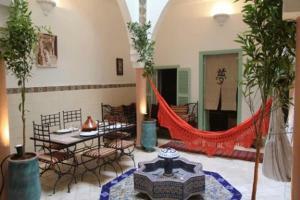 The riad also hosts cooking classes on request. The Portuguese Fortified City of Mazaga, a UNESCO World Heritage Site is 1 km away from the Riad. يقع فندق Riad Harmonie وسط المدينة القديمة في الجديدة، ولا يبعد سوى 800 متر عن ساحل المحيط الأطلسي. وهو يقدم خدمة المساج، والمبيت مع الإفطار، وخدمة الواي فاي المجانية.يتميز الفندق بالأثاث المغربي والبلاط البلدي، وتقع الغرف في فندق Riad على محيط ساحة فناء تضم أقواساً ونافورة مركزية. وتحتوي كل غرفة على حمام خاص مزود بدش ووسائل الراحة.هناك تراس مظلل على السطح مع اثاث خارجي يطل على المدينة القديمة. ويمكن للضيوف الاستمتاع مجانا بشاي النعناع في كوة الصالون الداخلي المصطفة جوانبه بالأرائك المغربية.يقدم Riad Harmonie لضيوفه قائمة طعام تضم الأطباق المحلية. ويستضيف Riad حصصاً للطهي عند الطلب.تبعد مدينة Mazaga وهي مدنية برتغالية التحصين، وإحدى مواقع التراث العالمي لليونسكو، كيلومتراً واحداً عن فندق Riad . 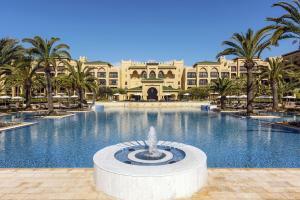 Pullman Mazagan Royal Golf and Spa is situated in a large park, 55.9 miles from El Jadida. 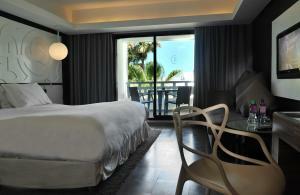 It provides luxury accommodation and ocean views. The Pullman Mazagan offers a swimming pool and spa. 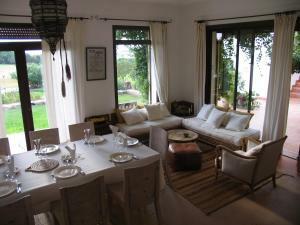 It is set in one of Morocco’s finest golf courses. Guest rooms at Pullman Mazagan are air-conditioned. They include a TV, en suite facilities, and a telephone. All have a balcony or a terrace. The club house serves light dishes at any time of the day. There are 3 other restaurants serving local and international cuisine. There is also a piano bar, providing a cosy place to relax with a drink. يقع بولمان مازاجان رويال جولف آند سبا في منتزه كبير على بعد 90 كم من الجديدة، ويضم أماكن إقامة فاخرة ويوفر إطلالات على المحيط.يضم بولمان مازاجان مسبحًا وسبا، ويقع في أحد أروع ملاعب الغولف في المغرب.غرف الضيوف في بولمان مازاجان مكيفة، وتحتوي على تلفزيون وحمام داخلي وهاتف، وتضم جميعها شرفة أو تراسًا.يقدم club house الأطباق الخفيفة في أي وقت طوال اليوم، كما توجد 3 مطاعم أخرى تقدم المأكولات المحلية والعالمية، ويتوفر بيانو بار يوفر مكانًا مريحًا للاسترخاء مع تناول مشروب. 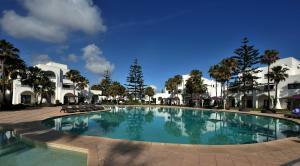 Offering an outdoor pool, Hôtel Jawharat El Jadida is located in El Jadida. At Hôtel Jawharat El Jadida guests will find a 24-hour front desk, a garden and a terrace. Free Wi-Fi access is available in all areas. Units at Hôtel Jawharat El Jadida will provide guests with a flat-screen TV and air conditioning. Some rooms have a sea view. Private bathrooms also come with a shower. Guests can enjoy local dishes at the onsite restaurant. Free public parking is possible at a location nearby. 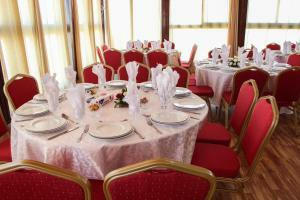 Other facilities offered include banquet facilities. Mohammed V Airport is 68.4 miles away. يقع فندق Jawharat El Jadida في مدينة الجديدة، ويقدم مسبحًا في الهواء الطلق، وسيجد الضيوف في فندق Jawharat El Jadida مكتب استقبال يعمل على مدار الساعة وحديقة وتراسًا، وتتوفر خدمة الواي فاي المجانية في جميع المناطق.تقدم الوحدات في فندق Jawharat El Jadida للضيوف تلفزيونًا بشاشة مسطحة وتكييفًا، وتوفر بعض الغرف إطلالة على البحر، كما تأتي الحمامات الخاصة مع دُشّ.يمكن للضيوف الاستمتاع بالأطباق المحلية في المطعم الموجود في الموقع.تتوفر مواقف مجانية عامة للسيارات في مكان قريب، وتشمل المرافق الأخرى المُقدمة مرافق حفلات.يقع مطار محمد الخامس على بعد 110 كم.